So today I’m going to talk about food! I’ve mentioned in my introduction post that cooking is something I enjoy to do. I like trying out new recipes or experimenting with everyday meals by adding different spices or trying new techniques! I’m not a fan of following recipes exactly; so I am a horrible baker! I hate measuring out ingredients precisely so I tend to add more or less of certain ingredients based on what I like when cooking. Fall and winter are my favorite times of the year to try out new recipes; you’re typically stuck in the house so why not make the best out of it and try something new! For today’s recipe I chose a cold weather favorite, chicken noodle soup. 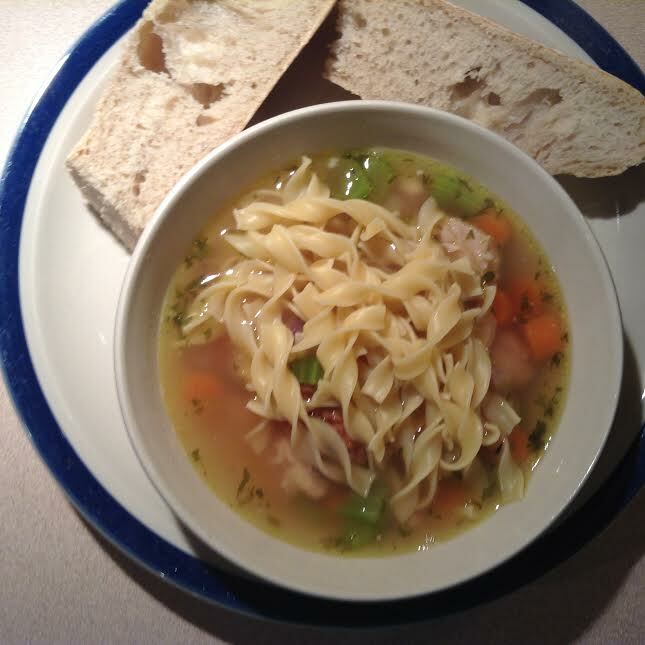 Homemade chicken noodle soup is sooo good on those cold fall days to warm you up, or the perfect dish for a sick friend. Homemade soup is so much better than those versions from the can, and the best part is, it’s so simple. Anyone can do it; even those with a busy schedule! I actually made a big pot this past weekend. 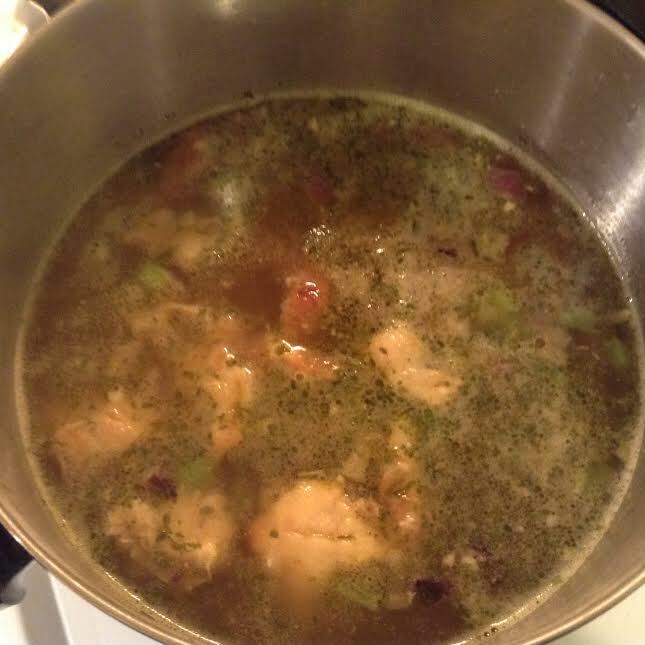 There are thousands of different versions of homemade chicken soup online, but this is how I like mine (my hubby likes it too!). 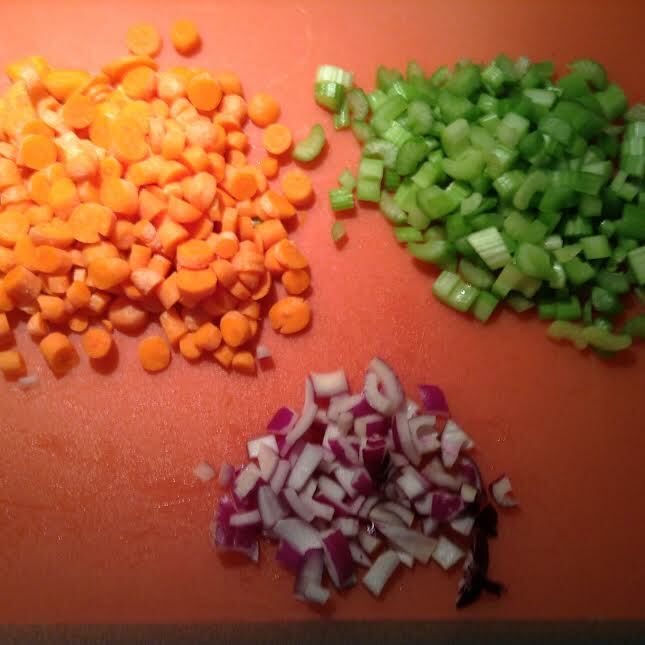 First, chop carrots, celery, and onion. In a large pot, add about 2 tablespoons of olive oil and turn stove on medium heat. 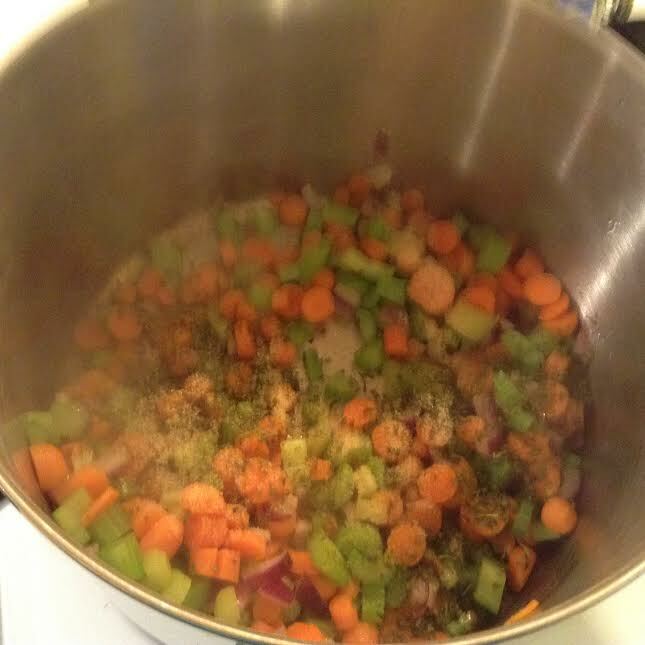 When oil heats, add onion, celery, carrots, parsley, and garlic powder. Sauté spices and veggies for about x3-4 minutes on medium heat until ingredients soften. Next, turn down heat to low and add the chicken broth to the pot, stirring occasionally. While broth and veggies are cooking, cut chicken into pieces. And chicken to the broth and veggies. Cook for about 20-25 minutes on low heat. While the broth with chicken and veggies are cooking, boil water and cook the noodles according to the directions on the package. When noodles are cooked and the broth is done, add noodles to the chicken and broth pot. Place in a bowl with a fresh piece of bread and enjoy! Dinner is served! There you have it, my homemade version of chicken noodle soup and it only takes about 30 minutes from start to finish! The hardest part is cutting the vegetables and chicken. This makes about 6 servings, so it will be perfect for left overs the next day. I really enjoy this recipe with store bought rotisserie chicken. I have tried it with chicken that I have made and have used shredded chicken from the can just to compare the taste. The soup with the rotisserie chicken by far has the best flavor. My guess is because of all the seasoning and juices. You can definitely use whichever chicken you prefer. Well, I hope you enjoyed my simple, yet delicious recipe of Homemade Chicken Noodle Soup! Feel free to share your favorite chicken noodle soup recipe below.